Cerise pink paper gift carrier bag with black twisted handles. The size of this bag is 190mm x 210mm + 80mm bottom/side gusset. 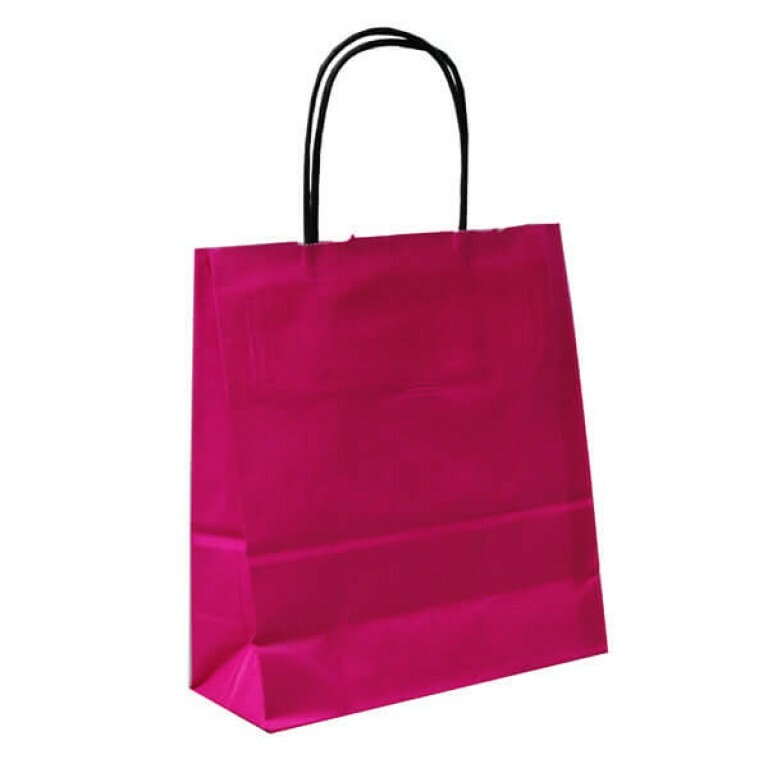 This bright pink, small carrier bag stands out in a crowd and is ideal for a modern accessory retailer. It is our bestselling colour available in packs of 50 or boxes of 250 bags. We stock crispy white acid free tissue paper with cerise spots which complements this product and is also one of our best sellers. This is available in packs of 100 or 500 sheets. Available in 2 larger sizes. Great customer service. Received a phone call to confirm shipping. Emails of process of order. Great service. Will use again.